2014 Corvette Live Unveiling NOW - Miata Turbo Forum - Boost cars, acquire cats. Thought a few of you might be interested in this. The next generation of Corvette is being unveiled live at 7pm ET. Hopefully it's as impressive as the jump from C4 to C5 and C5 to C6 were. 7 speed manual, cylinder deactivation, carbon fiber roof and hood on base model vettes, 100lbs lighter, 57% stiffer chassis, looks good so far! Looks like a GTR and a Viper had a baby. I like the rear end of it. there's one angle from which it looks kinda weird. like the rear is so much larger than the front, looks awkward. From what I have seen so far they really did a great job with the c7. 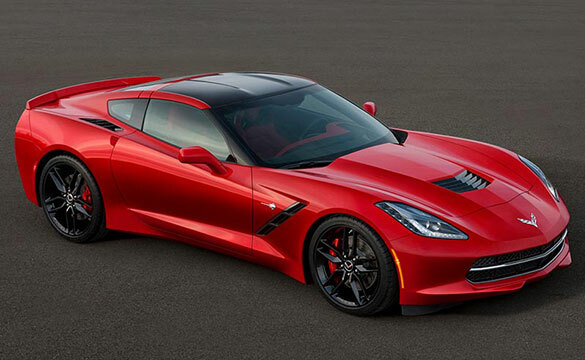 I have never been a fan of the vette but this one I really like, especially the interior updates. It looks like it should be mid-engined... But I like it. It makes me feel like GM set out to make the joe-schmo 458 Italia, and they seem to have hit the nail right on the head. Not sure how I feel about it. The back and sides look good (from what I can see), but the front looks a little off. Holy ****! That thing really does look nice! Hot Wheels rear end. American 458 Italia front end. I'd like to see Jeremy Clarkson talk **** on this one. Well that is inevitable.. I dunno if I like it more or less than the c6. So many vents.. This car gives me wood. Will never be able to afford it, don't really care. Never? Or just not when new? Corvettes are crazy performance for the price and now that they seem to have focused a lot of time and money on the interior and aero, I expect the C7 to be outstanding. The main question will just be whether you can dig the appearance - but that's true of most any car. I've seen a mint low mile 06 base vette for like 23.5 a few months ago. This gives me much hope that I might own one someday. I will be buying one. I love the style I love the technology. Every single nut and bolt, body line, new technology, is specifically designed for use in this car. This is a race car for the street with luxury. I've daily driven a corvette since 2005, I'm on my 3rd one right now lol.